Whale sharks are gentle giants—they are the world’s largest fish at up to 18 meters (60 feet) long and filter feed instead of hunting for food. Unfortunately, they are endangered and only gather in groups in a few locations around the world. Researchers examined why they choose these particular sites, hoping to come up with a way to conserve these unique sharks. Groups of whale sharks are only found at about 20 locations, all very near the coasts of countries such as Australia, Belize, Mexico, and the Maldives. The researchers from the University of York in collaboration with the Maldives Whale Shark Research Program found what makes all of these areas special: they all have areas with shallow, warm water and a steep drop off to deep water. The reason that these sites are so suitable for whale sharks could be that they are ideal feeding zones and the shallow water allows them to warm themselves up. The sharp drop off can cause currents to well up bring in the plankton and small crustaceans that whale sharks feed upon. “Sharks are ectotherms, which means they depend on external sources of body heat. Because they may dive down to feed at depths of more than 1,900 metres, where the water temperature can be as cold as 4 degrees, they need somewhere close by to rest and get their body temperature back up,” said the supervising author of the study, Dr. Bryce Stewart from the Environment Department at the University of York. Unfortunately, what makes these areas so nice for the whale sharks also makes them problematic. Swimming in shallow water makes the sharks vulnerable to being struck by a boat, which often occurs. 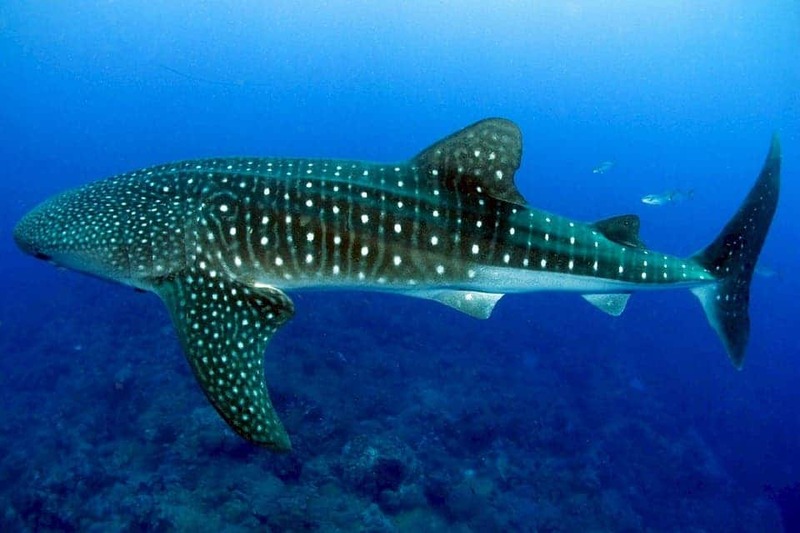 Throughout the duration of the study, the researchers were able to track individual whale sharks by their unique pattern of stripes and spots. They found that the rate of injuries to the whale sharks was quite high. Indeed, boat strikes, along with hunting and accidental trapping in fishnets, have led to a drastic global decline of whale sharks in the past 75 years. Hopefully, this study can help us maintain ideal whale shark habitats to balance out human and whale needs.